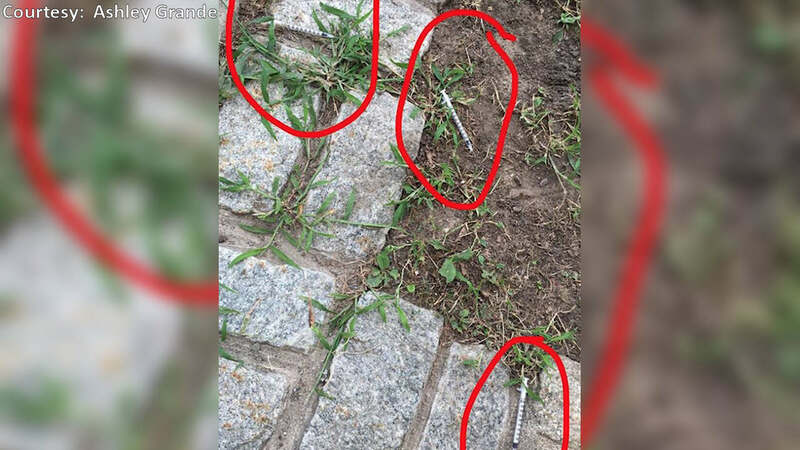 NEW DORP, Staten Island (WABC) -- Hypodermic needles were found at a playground next to an elementary school on Staten Island. A mother photographed three needles near a tree in a park, next to PS 41 in the New Dorp section on Monday afternoon. She says there was also a fourth needle, you don't see in this photo. "My first thought as a parent, you know my son is 16-months-old, he puts everything in his mouth, but my second thought was if a child is coming out of school where the doors are right there, what if he trips and falls and his hand touches a needle, you know, that's really scary," said Ashley Grande, a parent. The Department of Education says the needles were immediately reported to police and safely discarded. It says the school is now conducting daily sweeps of the area.